Samaritan’s Purse is working through church partners to assist those suffering in the aftermath of severe flooding. Children yell hello and wave from the doorframes of their half-submerged houses in the delta region of Myanmar. Rice paddies are now lakes. Villagers canoe down the same paths they used to walk. “It’s like being on the sea with houses on stilts just out of the water,” Paul McKnight, Samaritan’s Purse response leader, said. 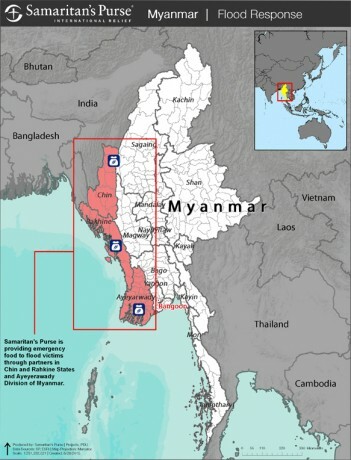 Recent flooding in the Southeast Asian country of Myanmar has proved catastrophic for hundreds of thousands of families. Over 380,000 households are displaced, and 1.6 million people have been critically affected. Samaritan’s Purse is working through an extensive network of church partners to provide emergency food to flood victims. We are supplying a month’s ration of rice and oil to thousands of families in several of the most severely affected and impoverished areas. “People are stressing food at the moment—that’s the main, urgent need,” Paul said. Samaritan’s Purse is working through church partners to provide rice and oil to those suffering in the wake of massive flooding. The waters have damaged more than 970,000 acres of farmland. Many families here live hand-to-mouth. When the floods destroyed their crops, they lost their only food source. Out of desperation, people have begun eating seeds reserved for planting, which could create a vital food shortage in the coming year. 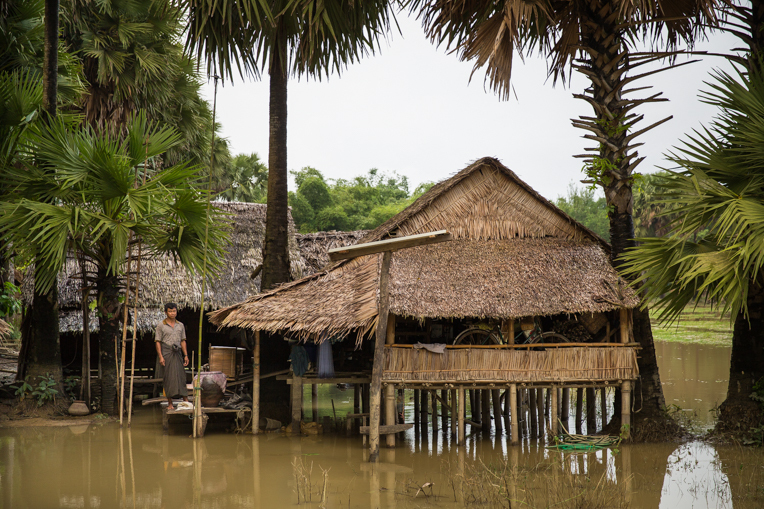 In the delta village of Bawthalin, 29-year-old Khinnwe’s husband was away working during the height of the floods. She feared for her four children as the waters rose to their doorstep. “I was so scared that something would happen to my kids,” she said. “The water level was so high and the kids are too small to swim.” Khinnwe’s husband returned to check on them the next day but had to leave again to work to support his family. 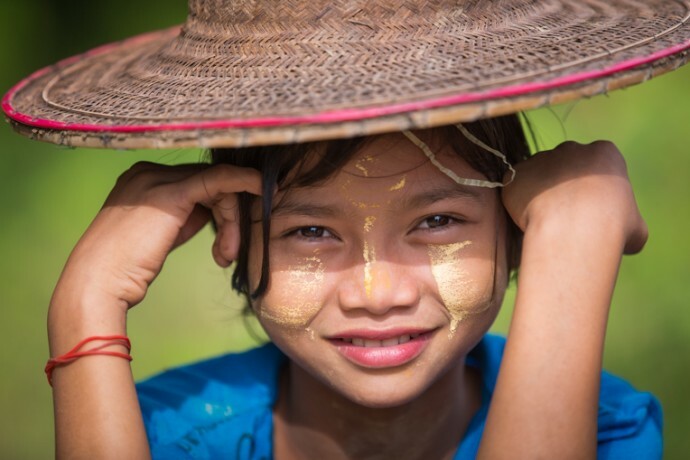 Farming isn’t an option since the rice paddy behind their house is underwater. Her four adult children live with their spouses, so she has endured much of the crisis alone. In the same village, Sawsarway and his wife, Ngelay, haven’t been able to convince their 18-year-old son to go back to school since the flooding. He doesn’t want to burden his family with the expense. 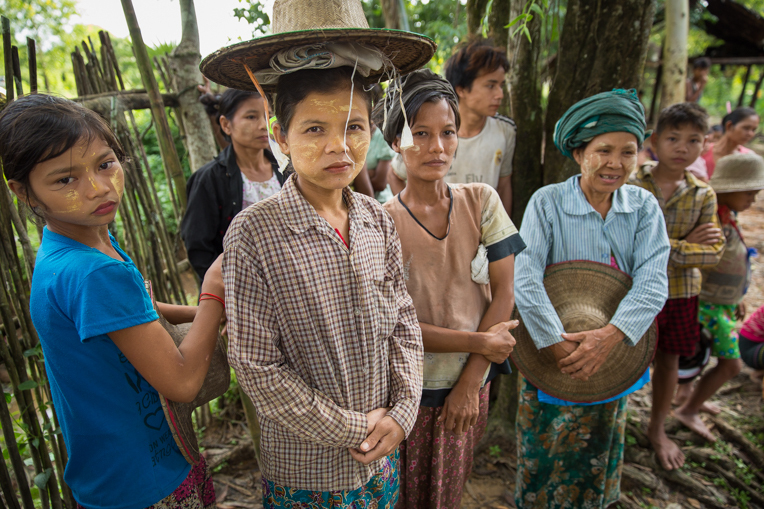 Despite their suffering, Ngelay said their family trusts the Lord. She said the food they received through our team encouraged their faith. 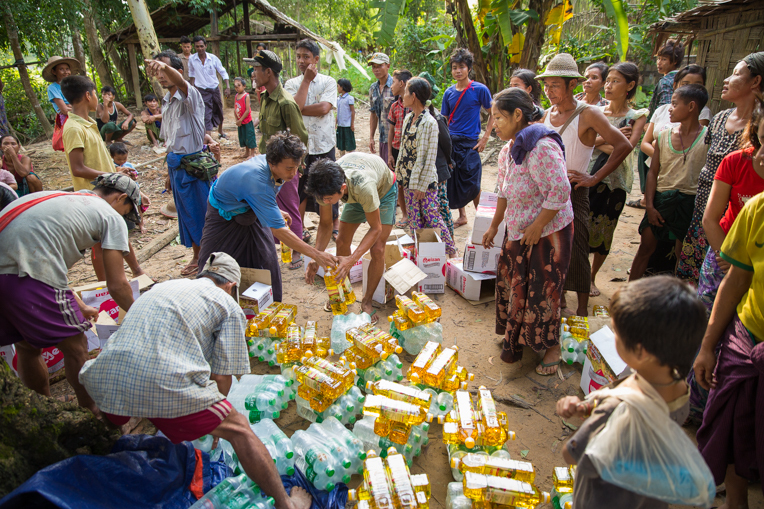 Villagers wait to receive a month’s ration of rice and oil from Samaritan’s Purse. 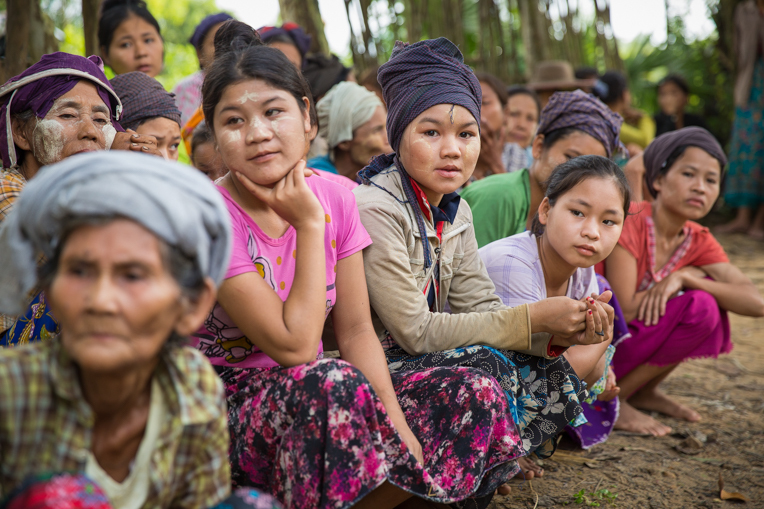 Reverend Dr. Mi Lay Nyunt of Victory Church Fellowship partnered with Samaritan’s Purse to provide food for Sawsarway and Ngelay, as well as for Khinnwe, Nawyalphaw, and their entire village. “By the words of God I have to take care of the people who most need it,” the church leader said as villagers organized rice bags nearby. Because of the dedication of leaders like Reverend Nyunt, flood victims in remote areas are receiving help and experiencing God’s love. This work is also helping to bring unity within villages where there is sometimes discrimination in how relief goods are distributed. Samaritan’s Purse will continue to help flood victims as the waters recede and families recover. Please pray for those who are suffering. Pray for our church partners. We have a vital opportunity to bless the people of Myanmar as we provide relief in Jesus’ Name.